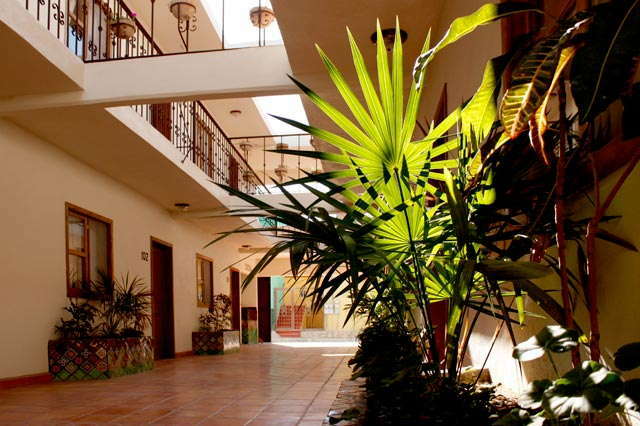 By far one of the most affordable hotels in Cabo, this little gem is reminiscent of courtyard hotels in mainland México, with a central breezeway running between the low-slung two-story buildings in the heart of town. 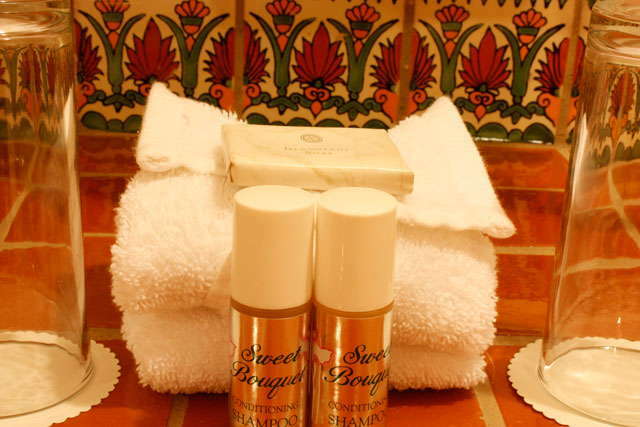 Upon entering the rooms, you'll find top-of-the-line pillow-top mattresses with soft cotton sheets, sleek furniture, and bathrooms with beautiful Talavera tiling. There is a midcentury-meets-Mexico feel to this place, and, though it's simple, it's quite comfortable. 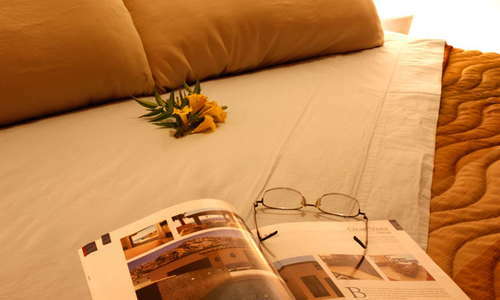 If you're in Cabo to get out and do things and you want an extremely comfortable and affordable rest when you finally lay your head down, this is the place for you. From its plant-festooned tropical breezeways to its colorful Mexican furnishings, Cabo Cush brings a sense of place to its budget-friendly offerings. 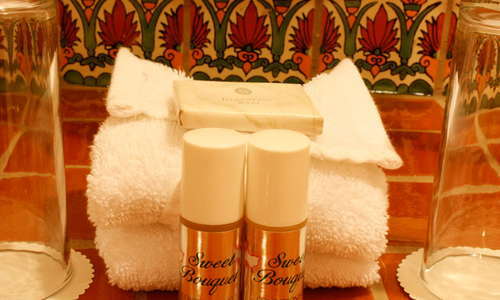 Room amenities include air-conditioning, cable television, and free Wi-Fi. 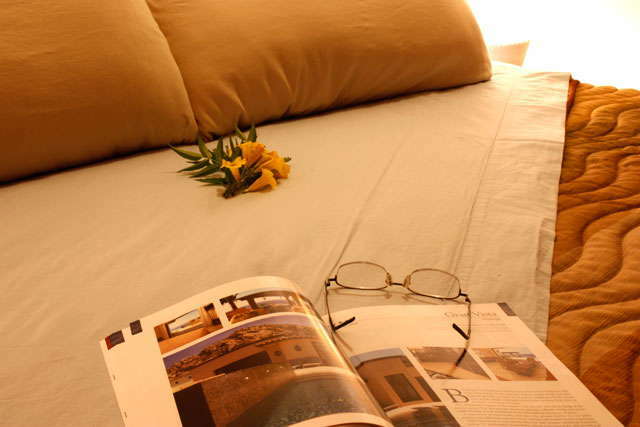 Rates start at under $35 per night, single occupancy. Hand-painted Talavera tiles are a standard bathroom fixture, adding color and zest to showers, sink basins, and mirror frames. Although it lacks a traditional lobby, Cabo Cush offers lounge and kitchen areas just inside the entrance, near the reception desk. Although slightly off the beaten tourist track--about four blocks from Blvd. Lázaro Cárdenas--Cabo Cush is within comfortable walking distance of the marina, Médano Beach, and downtown shopping and dining. It’s also set along a local bus line, so enterprising types can easily catch a cheap ride to San José del Cabo. Two excellent restaurants are located nearby. El Peregrino (one block south on Calle Zaragoza) showcases international cuisine, including great daily specials like steak and slow-cooked pork ribs in the $10-$14 range. Alcaravea Gourmet (two blocks south on Zaragoza) features Mediterranean style cuisine in artsy, air-conditioned surroundings. Stop by the nearby Crow Bar (on Zaragoza at Niños Héroes) for cheap drinks and congenial conversation. What's not to like? 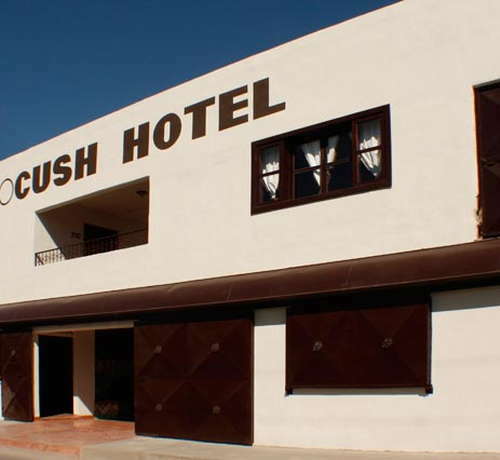 Cabo Cush is cool, clean, comfortable, and affordable; offering excellent value at a relatively central location. It’s only one block off Calle Morelos, where many locals do their shopping, and a short walk from the marina mall at Puerto Paraíso.